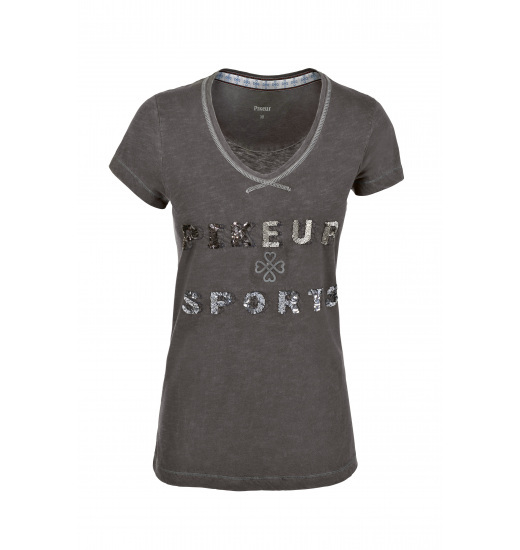 Ladies' T-shirt with short sleeve and round neck. 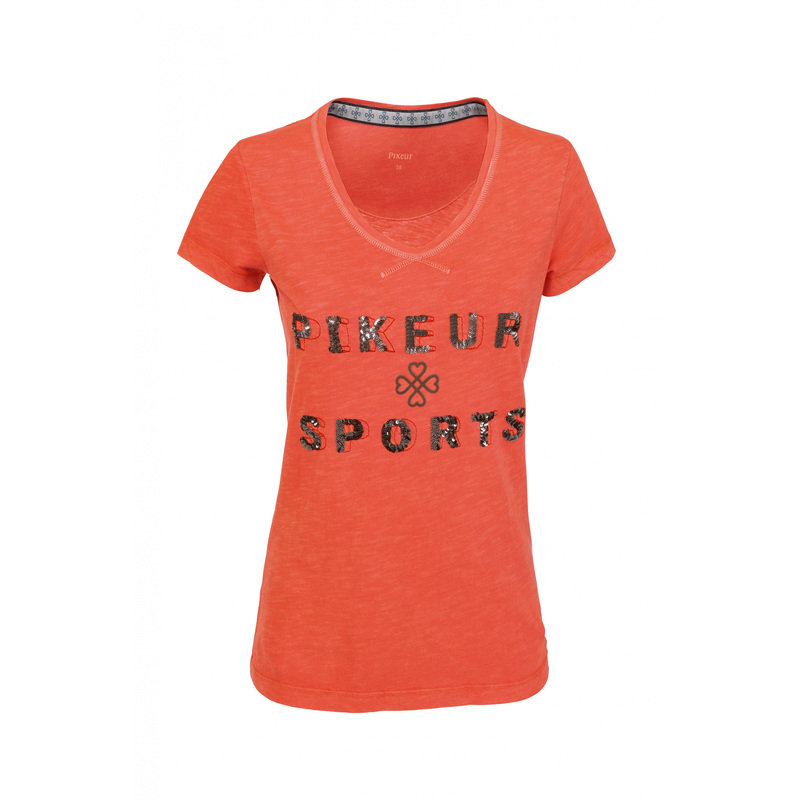 It's made of comfy cotton. 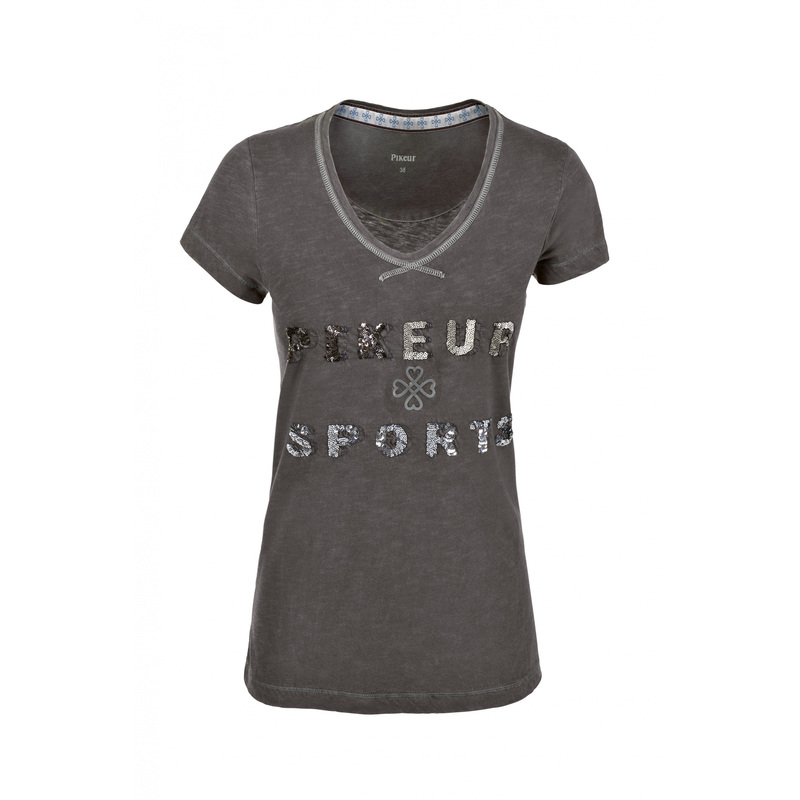 The shirt is decorated with a big, sequin Pikeur Sports writing.